Organic Chlorella Powder is a natural way to detoxify your body. Just as the color green symbolizes life, growth and energy, this amazing powder can help you enjoy a renewal of energy and provide you with numerous health benefits. Its subtle flavor resembles the taste of green tea. However, when added to smoothies, juice or other recipes, its flavor is barely detectable. The health benefits of chlorella powder are extensive. This powder is beneficial in removing harmful metals such as lead, cadmium, uranium and mercury that can linger in your body and adversely affect tissues and organs. In addition to working as a cleanser for your body, this powder is beneficial to skin health, it boosts the immune system, assists the digestive system and can help balance blood sugar levels by supporting the liver and pancreatic function. Chlorella powder serves in the role of protector, supporter and controller for organs and tissues and aids in the prevention of age-related health concerns and potentially life-altering illnesses. For the benefit of your overall health and your future health, you might want to make organic chlorella powder bulk purchases and consistently incorporate it into your healthy living lifestyle. This amazing powder helps prevent heart disease. It can help reduce blood pressure and lower and stabilize cholesterol levels. By adding this powder to your diet, you gain protection from cancer, the development of peptic ulcers and protection from the adverse effects from prescription medications. This powder can help strengthen your immune system. It is also an anti-inflammatory. If you have skin issues such as eczema or acne, this powder can lessen the severity of these conditions. Chlorella is a single-celled green alga. It grows in fresh water. It contains a high percentage of protein and an abundance of vitamins. The cell wall around the chlorella is indigestible. Cracked cell chlorella is chlorella that has gone through a process that breaks open the cell wall to release the nutritional goodness of chlorella. 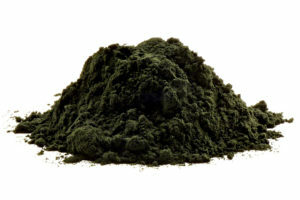 Chlorella powder is the result of this unicellular alga being harvest from fresh lakes and rivers, then undergoing a drying process followed by a crushing process that yields the bright green powder that is held in high esteem for the health benefits it provides. How to Take Organic Chlorella Powder? The recommended amount of chlorella you should have each day is 1-2 teaspoons daily for adults and 1 teaspoon daily for children. If you are just beginning to acquaint your body with cracked cell chlorella in powder form, you should start by adding less than the recommended amount and gradually increase your consumption of chlorella until you reach the level that is comfortable for you. It is also best to spread out the chlorella powder throughout the day rather than taking the entire amount at one time. There are specific ways to add this powder to your diet. It should not be mixed into hot drinks. It should not be mixed into recipes that require baking or stovetop preparation. Chlorella powder can be mixed into cold drinks such as water or juice. It can be added to cold cereal, yogurt or uncooked desserts. Both Chlorella and Spirulina are beneficial superfoods. However, they have distinctive physical and nutritional differences. Visually, Spirulina is a blue-green color while Chlorella is bright green. It’s the dark green coloring that gives chlorella a higher level of chlorophyll than Spirulina. Chlorophyll acts as a powerful cleansing agent. Chlorella is rich in nucleic acids that protect cells and increase energy levels. Chlorella encourages the growth of aerobic bacteria which helps improve bowel function. Spirulina is easily digestible. This makes nutrients contained in Spirulina high bioavailable and quickly assimilated into the body. Spirulina has a slightly higher protein content than Chlorella. It also provides vitamin B12. Spirulina contains omega-6 fatty acid. It is the unique phytochemical Phycocyanin that gives Spirulina a blue color. This is also what makes Spirulina helpful in providing brain support, bone support, promoting heart health and boosting the immune system. These two superfoods have similar characteristics and distinct differences. Adding both to your diet can help provide incredible support for your organs, tissue and your overall health. Some people can experience some side effects from Chlorella powder. Many of the side effects such as lethargy, headaches, sensitivity to sunlight, digestive upset and shaking, are similar to those associated with a detoxification routine. People who are allergic to iodine should not take chlorella until they consult with their physician. Also, anyone taking a blood thinning medication such as Warfarin or Coumadin should not take chlorella powder without approval from their physician. Minor digestive problems that may occur with chlorella powder can often be managed by reducing the amount of powder used until your body is acclimated it. Great Product at an Excellent Price. This is the most reasonably priced high quality organic chlorella that I have found anywhere. I will be purchasing more. Earn up to 561 points.